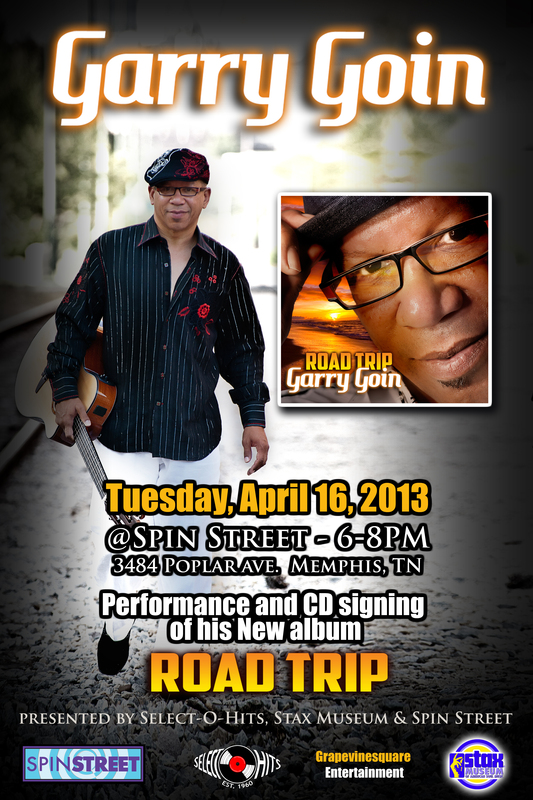 In case you haven’t already heard, producer, songwriter, and artist Garry Goin will be performing a 3-5 song set tonight at Spin Street starting at 6 pm followed by a meet and greet and signing of his new album Road Trip, in stores today. The follow up to his debut solo album Goin Places, his sophomore release takes you on a journey from the East Coast to the West with the many distinguished jazz artists he has joined forces with all over the nation including: Kirk Whalum, David Porter, Gerald Albright, Jonathan Butler, Pat Register, and many more. Can’t make it out to tonight? Don’t worry. There will be a CD release party at the Stax Museum featuring Goin and some of his collaborators on Wednesday April 24th. Also, Spin Street will be hosting another in-store performance next week with singer/songwriter Shannon McNally for her new release Small Town Talk.